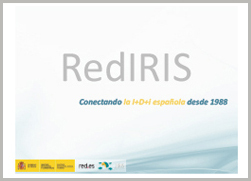 RedIRIS is the Spanish academic and research network that provides advanced communication services to the scientific community and national universities. It is funded by the Ministry of Science, Innovation and Universities and is included in the Ministry's map of Special Scientific and Technological Facilities (ICTS). 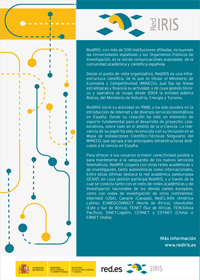 It is managed by the Public Corporate Entity Red.es, which reports to the Ministry of Economy and Business. RedIRIS has over 500 affiliated institutions, mainly universities and public research centres, which join this community by signing an affiliation agreement.